On February 22, 2013 the Wall of Recognition Ribbon Cutting Ceremony celebrated all post-secondary graduates and created more hope for our nation. It’s a testament to our successes as a nation, exercising our treaty right to education, and a presentation to encourage our youth to further their education. Have heard about our Facebook page, Alberta Aboriginal Training and Jobs (www.facebook.aboriginaltrainingjobs.com) we will be launching a Transitional Theme series beginning on August 20th. The series will last for 4 weeks (August 20th – September 14th). Every (work)day we will be making a few posts that will let our fans know about resources that can be useful for them when transitioning to urban centres. We have been working on collecting resources/web sites for the past few weeks. These include services, and supports from our GoA websites, Alberta Works locations, Federal and City websites, and various external websites, post secondary institutions, service providers, etc. We are also very excited about using videos we have had made as part of the series! We have 4 videos that explain a little about transitioning to an urban centre, how the resources found on our page can be helpful, and the videos feature a very popular Canadian Aboriginal action (these should get a lot of views)! We aim to post the first video the first week of September, hoping that more people will be checking Facebook at that time. We really want to promote this series, and take advantage of these videos for promoting what can be found on our page. We would appreciate any support that can be provided by your area in promoting this series. This can be done through email contacts or on Facebook if you have access. Please let your contacts know to watch for this Transitional Series starting August 20th, as well as reminding them to check our page for more resources during this timeframe, and even sharing the videos when we post them. If you are an Aboriginal Affairs & Northern Development Canada classified Full Status 6(1) (a) TREATY MEMBER from Saddle Lake Cree Nation and completed Post Secondary program(s), we are requesting a copy of your credentials to strengthen post secondary initiatives for future generations. 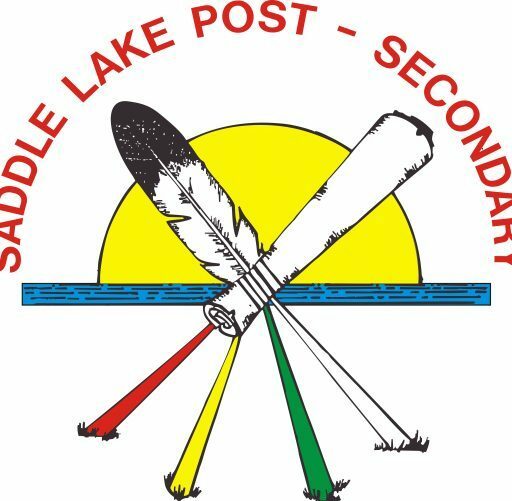 The Saddle Lake Post Secondary Grad Project has been approved by both the Saddle Lake Chief & Council and the Saddle Lake Education Authority to assist the Post Secondary Program in updating current graduation lists. It will also attest to the Saddle Lake First Nation’s successful administration of its Post Secondary Education Program since their take-over in 1986. In addition, SLPS is in the process of creating a Wall of Recognition of all our SLPS Post Secondary Graduates to honor their accomplishments, create Community Pride, & encourage our future generations to follow their dreams. …a few years ago, our former Saddle Lake Post Secondary Student, Darlene Coulliard received sponsorship to attend from the Aboriginal Human Resource Council ~ so can you, so apply TODAY! Portage College, Cold Lake Campus is hosting a Practical Nurse Information Night on February 01, 2012 from 1:00 – 7:00 pm. If you are interested in receiving more information please call Portage College at 1-866-623-5551.